Eager to cheer up her recently-widowed gran, Cassie Fitzgerald persuades Lissbeg library to set up a Skype book club, linking readers on Ireland's Finfarran Peninsula with the little US town of Resolve, where generations of Finfarran's emigrants have settled. But when the club decides to read a detective novel, old conflicts on both sides of the ocean are exposed, hidden love affairs come to light, and, as secrets emerge, Cassie fears she may have done more harm than good. Will the truths she uncovers about her granny Pat's marriage affect her own hopes of finding love? Is Pat, who's still struggling with the death of her husband, about to fall out with her oldest friend? 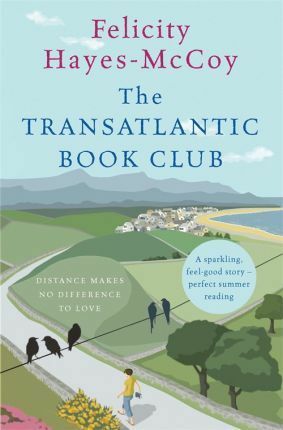 Or could the transatlantic book club itself hold the clue to a triumphant happy ending? Felicity Hayes-McCoy, author of the best-selling Finfarran series, was born in Dublin, Ireland. She studied literature at UCD before moving to England in the 1970s to train as an actress. Her work as a writer ranges from TV and radio drama and documentary, to screenplays, music theatre, memoir and children's books. Her Finfarran novels are widely read on both sides of the Atlantic, and in Australia, and have been translated into six languages. She and her husband, opera director Wilf Judd, live in the West Kerry Gaeltacht and in Bermondsey, London. She blogs about life in both places on her website www.felicityhayesmccoy.co.uk and you can follow her on Twitter @fhayesmccoy and on Facebook at Felicity Hayes-McCoy Author.